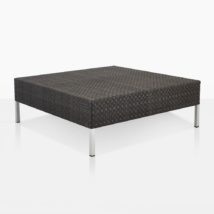 Light, airy and chic; the Austin Outdoor Wicker Coffee Table is a superb choice for your home or outdoors! Complementing both our Austin Collection and many of our other deep seating collections, the Austin Coffee Table is a substantial size with simple elegance to suit many styles! A terrific 55 inches long and 31.5 inches wide, the Austin Coffee Table is substantial enough to be conveniently used as a dining surface as well. 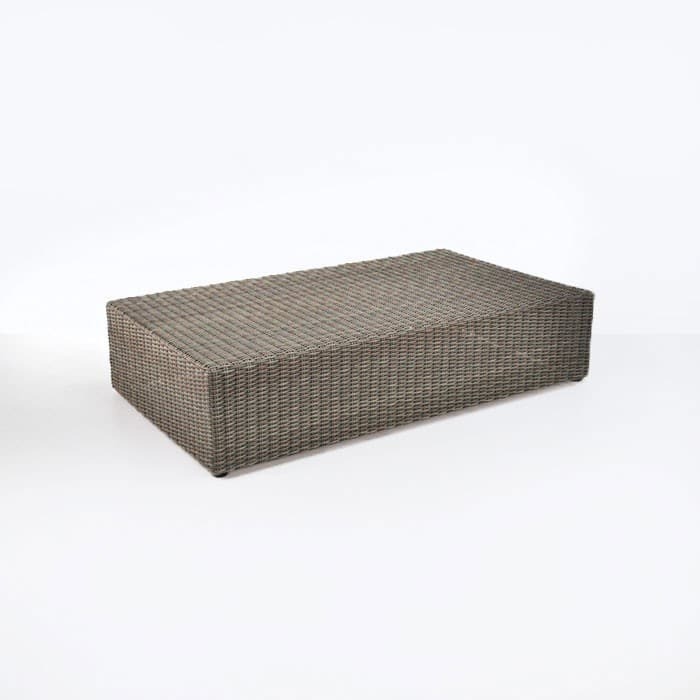 As part of our versatile Austin Collection, the Austin Outdoor Wicker Coffee Table can be used in any space large or small, modern or more traditional. 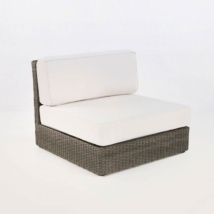 The design is simple, thick sections of all weather wicker on large powder coated aluminum frames. W31" x L55" x H17"
Create a gorgeous ‘L’ shape with an Austin Corner, a Center on either side and a Right and a Left Sectional on either side. 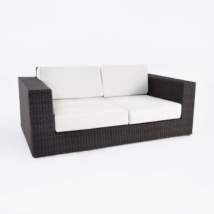 Place the wonderful Austin Outdoor Wicker Coffee Table in the middle and you have an instant, glamorous and comfortable area for casual dining or chilling out after a long days work. 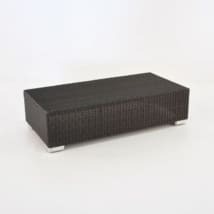 The Austin Outdoor Wicker Coffee Table is made from marine grade, all weather materials. The powder coated aluminum frame ensures that the pieces wont corrode in harsh weathers. 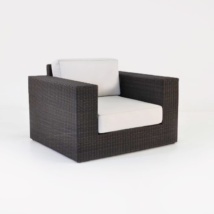 Teak Warehouse is proud to use Viro® wicker; an award winning product recognized for being environmentally while still standing up to the elements. 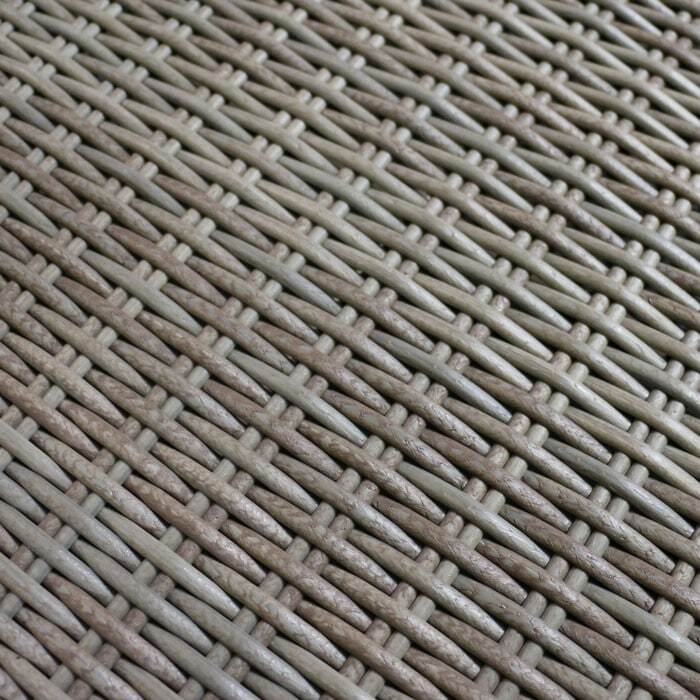 It is a through dyed, polyethylene synthetic fabric which has been UV treated to ensure it wont fade, discolor or morph. 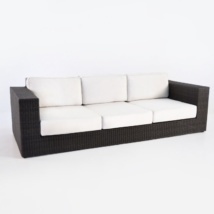 You will be thrilled with the addition of this Outdoor Wicker Coffee Table in your home! Call or email us now! Our staff are on hand 7 days a week to help you with your furniture needs.